I recently faced one such, not so interesting problem, but it was essential for me to solve it. Who is the package for. 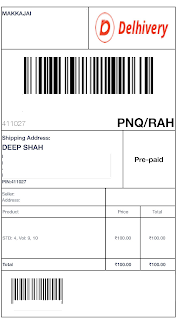 When we create the shipment in Delhivery portal, they generate the shipping label for us. Shippers are supposed to print it and affix it on the shipment. So far it feels normal and business as usual, what's the problem is not clear? We usually we ship in bulk, hence we ship to hundreds of our customers in one batch. 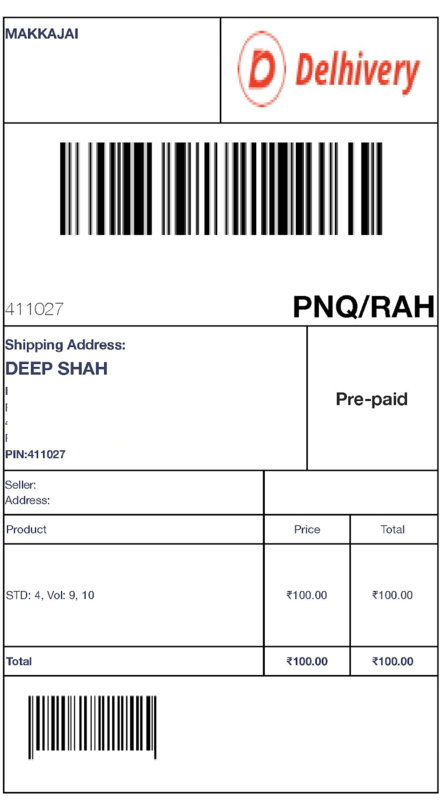 Delhivery generates a PDF with 1 shipping label on every page, hence if we are shipping 100 shipments, Delhivery will generate the PDF with 100 pages i.e. 1 label on each page in a 1x1 format. If we had access to a specialised printer which could print these stickers on a sticker roll, that we would be sorted. But unfortunately we didn't have that printer. 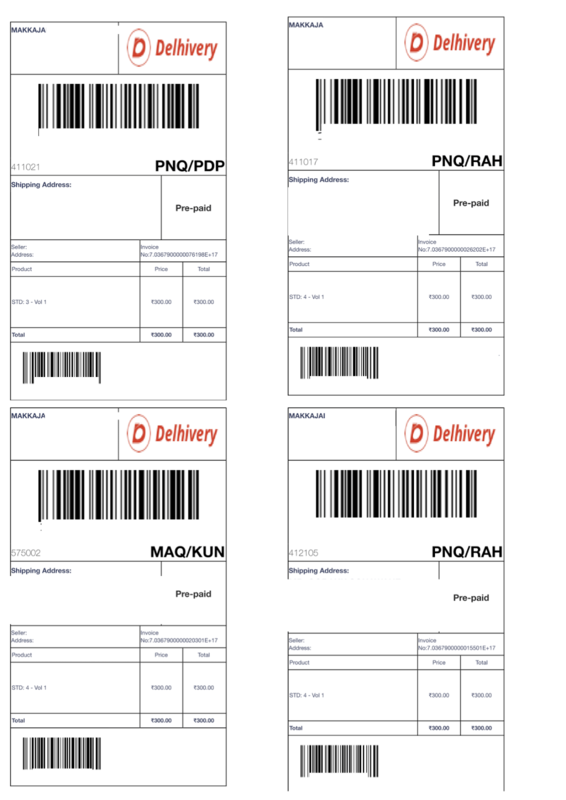 There are generic sticker papers available in the market to print shipping labels. However each A4 size generic sticker paper would cost around Rs. 5. Its not optimal from cost as well as resources perspective to print just one sticker on the entire A4 page. Initially you might think, why is saving few bucks so important. Thats because of a simple concept called unit economics. If you ever want to get your startup in the successful zone, you need to get the unit economics right :D! Now that we know whats the problem and why we need to solve it, lets focus on how did I get it done. Speed of execution is everything in startup world. I had to solve this in way that its easily doable by any non-tech operations guy, at the same time I didn't have the luxury to build a sophisticated custom solution. So, what did I do? I tried to breakdown the problem into smaller steps and try to solve each of those smaller steps. First thing I observed in the Shipping Label's PDF was that, There was some extra information around the shipping labels like the footer of the page and some more unimportant stuff. In order to arrange it in 2x2 format I need to trim the unimportant stuff. For this I looked for a site that could help me trim all the PDF pages in one go. Sejda was perfect for this. The free plan has some restrictions but we could live with those. You could upload the PDF and you could crop all pages with a mask in one go. What I got after that was a PDF with all pages having only the important stuff. Next, I need to export each page as a separate image either in PNG or JPEG format. This was necessary so that I could use mail merge to actually arrange the shipping labels in 2x2 format. 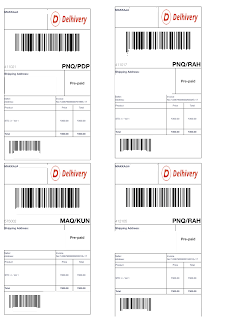 I exported the PDF pages to png using pdf2png site. The result was a zip file with all the PDF pages exported as PNG files. Final step was to use "Microsoft Word Mail Merge" to arrange these images in 2x2 grid. I followed the this nice article, to get that done. Once I followed the steps, I finally got a 2x2 grid of all my shipping labels. These could be printed on a generic A4 paper with a 2x2 sticker grid. In the end, I had a very low tech solution (which could be easily followed by any Operations guy) to a business problem. You solve one problem... and you solve the next one... and then the next. And If you solve enough problems, you get to come home! Voilà, my job here was done! Packing function in SAP system is very important for Distribution centers and Retail outlet stores in order to exchange their goods data requirements between suppliers and Ship-to parties. The Ship-to parties can scan and check the goods through Pallet/Carton label information.